Virtually nothing is off limits when you go to write a descriptive essay. Your subject can be something as ordinary and mundane as a pencil or a desktop, or something as exotic and wild as an African safari or a trip to the Ganges. The best descriptive essay topics are those that you can or have directly experienced. To write a description requires a lot of imagination—the ability to summon up a sense of the experience of engaging with the subject. If you have experienced this engagement already, you’re better equipped to convey this experience to another. However, if you’ve never navigated the busy streets of Rome, you may not want to pick this topic unless you can acquire sufficient details from external sources to help aid your imagination in conjuring up a description of the streets for your reader. You do not have to have firsthand knowledge of your subject, but it certainly does help. College students have a unique opportunity to see the world from a perspective that is dynamic, inspired, creative, curious, strong, passionate, and empowered. Higher education affords the individual the chance to be bold, to think big, and to put talents to work. A descriptive essay is a terrific exercise in honing one’s focus, one’s sense of self, one’s sense of place, and one’s sense of experience. Take time to sit and think about something—anything—just so long as it has impacted you in some way. The descriptive essay is a way for you to communicate your own engagement with the world—to show what it is like to see things through your eyes. The more descriptive essays you write, the better you will become at communicating your vision to others, and the better you will be able to lead as a result. Here are some topics you can use to help spark ideas. College students look forward to spring break almost as much as they do to graduation. Spring break trips are filled with events and action and can be a good place to start learning how to describe an event. For a quieter, calmer, more introspective descriptive essay, try this challenge: visit a religious temple, church, or house that you have never been to before and describe what you encounter, what you see, what you think, how you feel, and who you talk to. Get to know someone of a different cultural or ethnic background and describe that experience: how did you feel, what did you learn, and what did you enjoy or not enjoy? Art museums are full of surprises and offer a great way to focus on a cultural experience and describe it. The library atmosphere is studious and contemplative and can be the perfect backdrop for a descriptive essay on attending a serious lecture or conference. A descriptive essay doesn’t always have to focus on a big experience: sometimes a small experience carries a big punch. Describing how a book impacted or affected you can be such an example. This type of subject can help you understand what you are looking for in terms of employment by allowing you to really focus on what sort of work it is you would like to do. A jazz club is a setting that is different from most: laid back, easy-going, with cool people and cool music—it’s a place most have heard about but few have been. A good symphony can be like nothing you’ve ever experienced before. The sounds, the seating, the arrangement—all of it combines to move and in some cases overwhelm. This is a great way to do a descriptive essay. Witnessing a performance on the stage is much different from watching a movie: in theater, the audience has a direct impact on performers and vice versa. This relationship creates an electrifying experience that can serve as prime subject matter for a descriptive essay. One of the best but rarest types of descriptive essay is the self-reflection—an honest but accruement assessment of our own selves. Music has the power to uplift and inspire. Writing an essay about how it does so is no easy task but definitely one worth attempting. One of the best sculptors to ever live, Michelangelo created exhilarating, life-like works that can be viewed for hours and never get old. Anyone who has flown in recent years knows what this is like—but a fresh set of eyes on the phenomenon can make for some great reading. A swirling, dynamic and action-packed depiction of David in mid-action, this sculpture was made to be written about. College makes for some interesting living arrangements. Why not write about it? Have a sense that things are souring in the labor market? Describe it! How’s it look? People are always curious about how others live. Tell your reader about your daily routine and let them know. Whether you enjoy shopping or hate it, this is one topic that is ripe for a good description. What’s it feel like to make a new friend? All of the emotions, thoughts, and moments that go into this experience can be used to flesh out your paper. Craft brews have come back in a big way. Connoisseurs can write pages on the beers they drink. Try your hand and see how you do. Wines are complex and fruitful and offer a lot for a discerning imbiber to consider. The nose, the taste, the color, the feel—it’s all there in a bottle of wine. If you’ve watched enough cooking shows you know how much prep goes into cooking a fine meal. Be the critic—write the descriptive essay on the meal. Yelp reviews are common enough that most people do them without even realizing what they’re doing—but you guessed it—they are basically mini-descriptive essays about a dining experience. Movies can impact us on so many levels. Write a descriptive essay about a film you watched that made you really consider something important and focus on a few details that stand out in particularly. There’s nothing like fresh up at an elevation to help clear the head and lift the spirits. It’s also a great topic for a descriptive essay! Spending a day watching another person work might not sound like fun but it is actually a good way to learn on the job. It’s also a great opportunity to find fuel for a descriptive essay. Everyone knows what it’s like to go to the gym—but what if you can describe it from a unique or funny perspective and share some of the more entertaining things that typically occur to you when you’re there? Take any movie you like and describe what the director has placed before you in any one single frame. Everything that is on the screen is there for a reason—so take a look and tell what is there and why you think it’s been put there. Take a look at this etching by the famed Spanish printmaker and tell us what you see, how it makes you feel, what it makes you think, and what it all means. Hitchcock was a master filmmaker. What better way to understand how he created his hits than to analyze a scene or sequence and describe it in minute detail? A view from a tall building can present you with a line of sight that you rarely get to have. Describing the city spread out below you is a great opportunity to use emotion, intellect, and all your powers of description. Sometimes a smaller view is even better than a big one because it allows you to focus on what passes within a single frame. You might be surprised at what you find outside your window! What could be more fun than to write a description of your favorite class? Conversely, what could be more satisfying than describing your least favorite class and showing why you detest it? When it comes time to pick where you want to attend college, wouldn’t you like to be able to say why you picked that university? This is the perfect opportunity to show it. Making choices in life is about being informed and knowing what’s what. Writing a descriptive essay about a possible career is one way to help narrow the choices and get you involved in the real world. Memories help us navigate our lives. Looking back on ones that mean a lot to us is a wholesome and healthy exercise. Everyone remembers his first visit to a ballpark. If you’ve never been, go—and then describe your experience in rich, vivid details. Don’t have time or energy to get out to the stadium? That’s all right. Write about the latest movie you watched. This works just as well! Describe your neighborhood, the people you meet; conduct a windshield surveillance. You’ll discover a lot you never saw before. Pretend someone is interested in working where you do—give the low down on what goes on. Bowling alleys are great places to meet all sorts of interesting people! See the sights, take in the sounds, remember the smells, feel the blast of cool air as you dry your hands before your roll. This is the stuff of a great descriptive essay. Ben Franklin did this—and he discovered electricity. You could discover electricity in your writing when you use something as pure and simple as flying a kite for your subject. Surprises are always nice—and if you’ve ever been part of a surprise birthday party you will know how exciting they can be. Describe a time you were either in on the surprise or on the receiving end of it: set the scene and fill the reader with anticipation! Lost for a better idea? Take a look around the kitchen and see what there is. You might be surprised what’s hiding in your cupboard. When you were young, you might have taken part in a downhill derby. Racing past houses to the finish line—you can see it now! This could be the hook you need to get your essay going! Did you enjoy the Super Bowl? See a playoff game in the NBA that you thought was special? Want to revisit an old World Series and tell someone about it? Do so in your descriptive essay. The Internet has taken over the world in many ways—so why not use it as your subject. Describe a site you like to get on, what you do there, and what makes it so interesting to you! Cities are full of great sights—the people, the towering buildings, the come and go of traffic. There’s a lot to see and do in a city and a walking tour is a good subject for a descriptive essay for sure. Everyone has a favorite corner or place in their house. What’s yours? Ever been somewhere exotic? Ever been somewhere really mundane? It doesn’t really matter where you’ve been because so long as you can describe it and bring it to life on paper, your reader will enjoy it no matter what. The Internet is full of people who blog about their experiences playing video games or going to the beach. Tell us about your experience reading a book and what it was like for you each time you turned a page, started a new chapter, or read it all in one sitting. Everyone has one—that one car that would be just perfect for them. Describe it and tell your reader why it’s the one car you would love to own! Have you ever had a dog, a cat, a gerbil, a rabbit, a horse, a bird? If you have, tell your reader all about your animal. Writing about people you know or admire is one of the best types of descriptive essays to produce. All you have to do is think about their best qualities, what makes them special, and then tell it. If you live in a region where snow falls every year, you’ve surely been sledding. The air, the rush, the trek up hill and the ride down—all of it is fair game for a descriptive essay. Been to the beach recently? Describe it and make your reader jealous! This could be an interesting subject for a descriptive essay: start off describing a person that seems like a stranger but throw a twist in at the end—surprise the reader by saying that this person is you and this is what you see when you look in the mirror! Take some time and spend it with a painting you really appreciate. Get to know it, find out the technique used to paint it, how the brushstrokes were made, the style, the era it comes from—and then describe it all in great detail so that the painting is brought to life for the reader. For some, flying in a plane can be one of their most memorable experiences. The roar of the engines, the lift off the ground, the landing—all of it leaves a lasting impression. For those who have never flown, reading a descriptive essay on flying in a plane can be a good way to put them in the passenger seat. Halloween is a time when children dress up and trick or treat. One of the main staples of Halloween is the jack-o-lanterns that sit out on the stoops. Carving a pumpkin and putting a candle inside is a fun experience and one that could easily generate material for a descriptive essay. Ever want to criticize a performance by an actor or actress? Here’s your chance. Pick a show and have at it! When deciding on a descriptive essay topic, be creative—think of something fun, something that you would enjoy telling another person about—how it made you feel, how it made you work, how it made you hungry, tired, excited, happy, energized. Think of an experience that made an impact on you—or, go the complete opposite way and think of something that you never think about! Think about your chest of drawers and go over and examine it closely. Inspect it, get to know it, find out who made it, where and when and why—and then give the reader the details. Once you have figured out your topic, the next step is making sure you know the requirements of a descriptive essay and how to write one. If you just need to see a few example descriptive essays, we have those available as well. "Descriptive Essay Topics." Aceyourpaper.com. Student Network Resources Inc, 17 April. 2017. Web. 18 April 2019. Student Network Resources Inc. "Descriptive Essay Topics." Aceyourpaper.com. 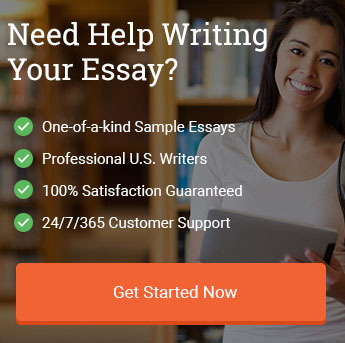 https://www.aceyourpaper.com/essay-writing/descriptive-essay-topics/ (accessed April 18, 2019).